Record: Melissa Sherfinski, “Contextualizing the Tools of a Classical and Christian Homeschooling Mother-Teacher” in Curriculum Inquiry 4, no. 2 (March 2014): 169-203. Summary: Sherfinski, a professor in West Virginia University’s College of Education and Human Services, has published widely on school reform issues ranging from class size reduction to universal pre-kindergarten programs. This is her first published article on homeschooling, though she has been delivering conference papers about homeschooling mothers since 2010. This is the second of two posts dedicated to Jennifer Lois’ new book Home Is Where the School Is: The Logic of Homeschooling and the Emotional Labor of Mothering (New York University Press, 2013). In the first, which you can read here, I summarized the contents of the book. Today I will share some of the thoughts I had as I was reading it. First, a general comment about the quality of homeschooling scholarship. Before I published my book in 2008 there was only one really good book on homeschooling in print, Mitchell Stevens’ Kingdom of Children: Culture and Controversy in the Homeschooling Movement . Now there are five. In addition to Stevens’ and mine, all researchers should read Kunzman’s Write These Laws on Your Children , Murphy’s Homeschooling in America , and now Lois’ Home Is Where the School Is . The field is in a much better place now than it was when I first got started, and Lois’ book adds significantly to our overall understanding. Here I’m going to discuss two insights I found particularly compelling and conclude with a few criticisms. 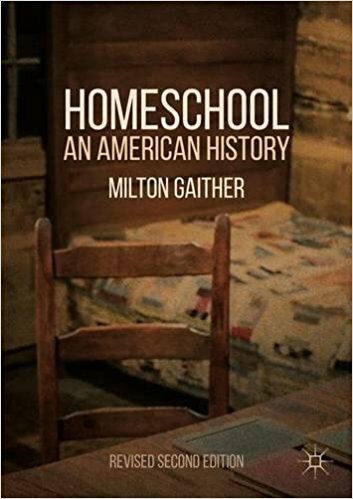 This is the first of two posts dedicated to Jennifer Lois’ new book Home Is Where the School Is: The Logic of Homeschooling and the Emotional Labor of Mothering (New York University Press, 2013). Lois, a sociology professor at Western Washington University, has published two articles on the subject of the emotional lives of homeschooling mothers that I reviewed here and here. Twelve years in the making, this book represents the culmination of this line of research for her. Oftentimes the articles that are published prior to books contain most of what the researcher has to say. That is happily not the case here. The book contains a wealth of new findings and interpretations. In this first post I’ll summarize the book’s contents, and next week I’ll make some comments about Lois’ methods, findings, and interpretations. This post reviews Jennifer Lois, “The Temporal Emotion Work of Motherhood: Homeschoolers’ Strategies for Managing Time Shortage” in Gender and Society, 24, no. 4 (August 2010): 421-446. Lois, about whom I’ve written before (in one of my most popular posts since it contains the provocative heading “deviant homeschooling moms“) here gives us another fascinating look at some of the struggles homeschooling mothers go through.